The Portal series is one of Valve's most renowned new IP's that took the world by storm with its meticulous puzzles, fantastic plot, humorous writing and topped with a great story. A new Portal game that blends the best of Valve's odd portal-creating, puzzle-solving title with the million-selling Bridge Constructor franchise hits later this month, the companies announced Wednesday morning. Bridge Constructor Portal launches for the Switch in 2018, following a PC release this December 20th. In a press release, Headup Games said:"For the past year we've been secretly working in our underground labs on the next iteration of the million-selling Bridge Constructor series". Headup Games is a German studio known for Runbow, Pixel Heroes: Byte & Magic, and 2013's Bridge Constructor, which this new game is a spin-off of. A new Portal game is an obvious indication of a new Half Life 3 game. This may not be the Portal game that everyone wanted, but Bridge Constructor is a fun series regardless, and the addition of Portal elements should only enhance that. The games are also available on the PlayStation 3 and Xbox 360, and you shouldn't have much trouble finding them used for around $10 a pop. The familiar turrets can be seen to oppose players, as the new trailer combines the physics breaking world of Portal with the more traditional puzzle type games that coerces players into finding creative ways to build bridges to traverse hard platforms. Let us know in the comments section below! 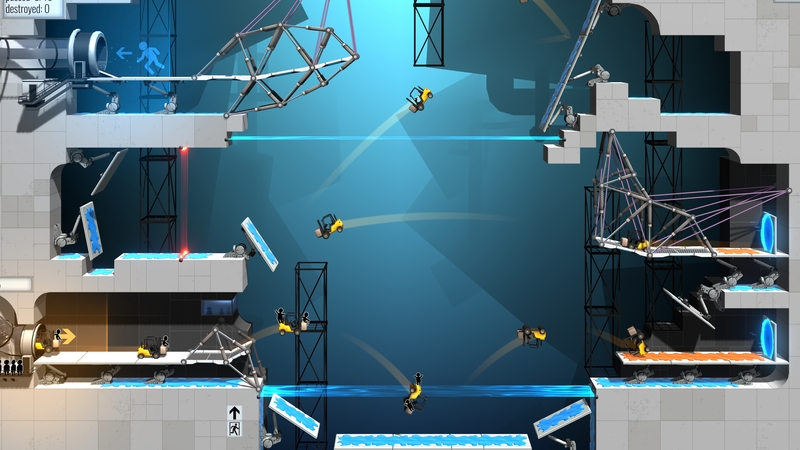 Making its way onto PC, MacOS, Linux and mobile devices on 20th December, Bridge Constructor Portal will once again place you under the watchful eyes of GLaDOS.